Kaduna Electric is the operator of Kaduna Electricity Distribution Company. It is one of the 18 successor companies created following the unbundling and subsequent privatization of the defunct Power Holding Company of Nigeria Plc. Kaduna Electric is one of the 11 downstream operators in the Nigerian Electricity market. It is responsible for retail distribution and marketing of electricity in Kaduna, Kebbi, Sokoto and Zamfara States. The Company currently has 8 Area Offices and 147 Customer Service Centres across the four states and a customer population of about 490,000. Kaduna Electric is the 7th largest DisCo in distribution capacity and 6th largest in number of households among the11 Distribution Companies (DisCos). 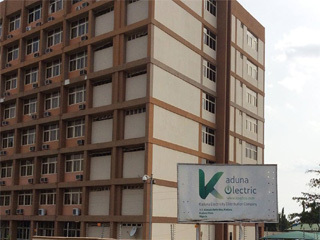 Kaduna Electric is strategically located and uniquely positioned to be among the best three Distribution Companies if the abundant potentialities at the disposal of the Company are harnessed and effectively utilized. In line with the Nigerian Electricity Reform Act 2004.